Gionee, one of the major Chinese manufacturers had launched the Gionee S6 in China back in November, 2015 and now, for the first time they have launched the phone in India. The metal built Gionee S6 is being sold in India via e-commerce website Flipkart for Rs. 19999 in three color variants- Gold, Silver, and Rose Gold. The Gionee S6 features a 5.5-inch HD (720×1280 pixels) resolution Super AMOLED display with Corning Gorilla Glass 3. The phone is powered by a 64-bit octa-core MediaTek MT6753 processor clocked at 1.3GHz, coupled with 3GB of RAM and Mali-T720 GPU. It has a screen-to-body ratio of 77.8 percent. The phone has 32GB of internal storage and the phone is juiced by a 3,150mAh battery. The Gionee S6 sports a 13MP rear camera with LED flash and a 5MP front camera combination. And the camera features different modes like night mode, panorama mode, burst mode, magic focus, HDR, GIF and more. In terms of connectivity, the Gionee S6 has Bluetooth 4.0, Wi-Fi 802.11 b/g/n, Wi-Fi Hotspot, GPS, 4G LTE (includes Band 40 and VoLTE), USB OTG and USB Type-C (2.0) connectivity. It measures 151.9×74.6×6.9mm, weighs 148 grams. The sensors on board include proximity sensor, accelerometer, magnetometer, ambient light sensor, motion sensor, and gyroscope. The battery is rated to deliver up to 18 hours of talk-time and 384 hours of standby time on 3G. The phone has a nice metallic build body and looks great. However, we will try to grab the phone and come up with a review. 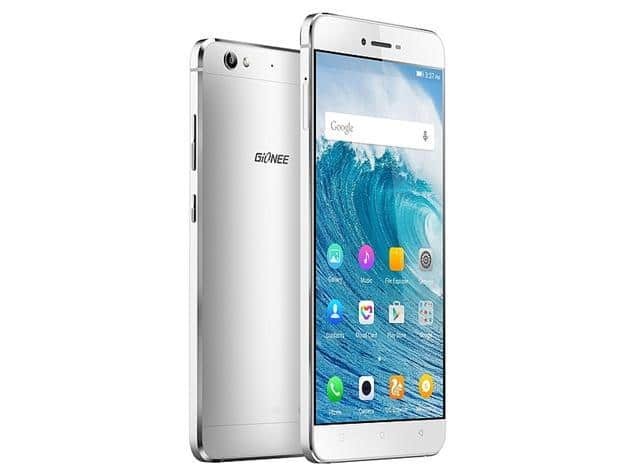 Meanwhile, you can check the detailed specs sheet of the Gionee S6 or can buy it from [eafl id=13650 name=”Gionee S6-Flipkart” text=”Flipkart”].